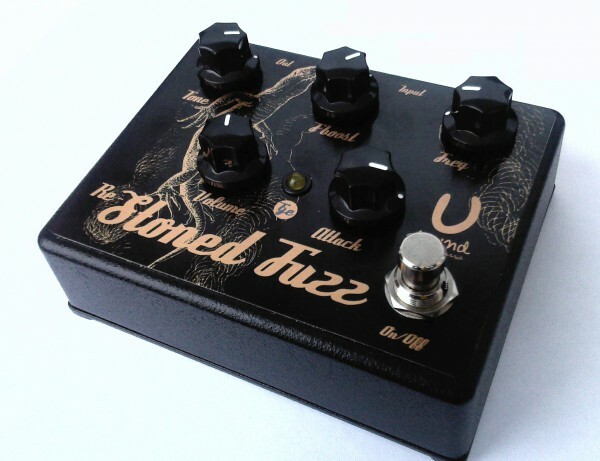 This Fuzz, like the Fish Fuzz is basically a traditional circuit design from the classic Fuzz Face with the use of germanium transistors, from the the 60's, 70's. Unlike previous models, this pedal is and does apply a more flexible tone control circuit. It has a separate "Tone" knob , regulating the balance of bass and treble in the output signal spectrum, except that - parametric EQ with the regulations "Freq" (cut-off frequency or the lifting frequencies) and "Fboost" (level rise or cut frequency). 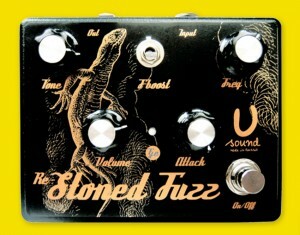 Due to these adjustments ,the Fuzzy tone is governed by a traditional tone that is best described as"prickly" to "soft and floating". In addition to these adjustments to the pedals there are still two handles. This is "Attack" - distortion fuzz, and "Volume" - volume output. The pedal gets powered by either a 9V battery or a stabilized adapter 9 volt.